Just a random snapshot from The HPC Garage following the end of a busy semester. 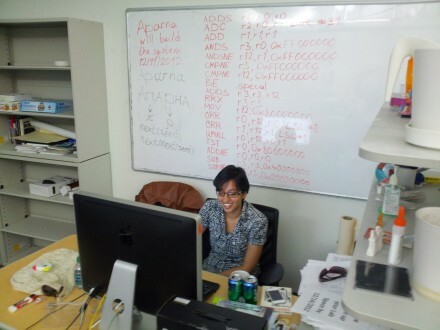 Aparna “disassembles” following the semester’s end. Assembly code courtesy of Marat.